We manufacturing and specialize in all kinds of forged mandrel shafts having Diameter upto 1500 mm and length upto 10000 mm in all international standards.We provide high quality as per design and specification of customers requirement. We offer wide range of forged mandrel shafts having Diameter upto 1500 mm and length upto 10000 mm in all international standards.We provide high quality as per design and specification of customers requirement. Made out of case hardened material case depth for .8 to 1.0 used for honing of rings. 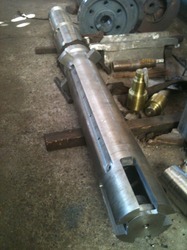 We provide best quality Mandrel Shaft. These shafts in standard and customized options as per the requirements of our clients. This is made of high quality material. 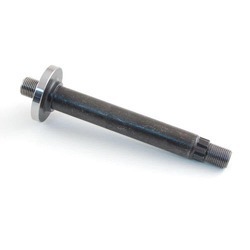 The Mandrel Shaft are highly durable & have long life. In order to meet excellent quality standards, we are supplying Mandrel Shafts.